Ahchoo! (Repeat 7 times) I hate allergies. I am sure I’d be a bit hard-pressed to find anyone that does. The season is starting up again nice and early, so I am already on the Claritin knock-off I get from Costco. Though the drugs don’t take it completely away, thankfully for me it does keep most of the symptoms at bay. What is the deal with allergies anyway? 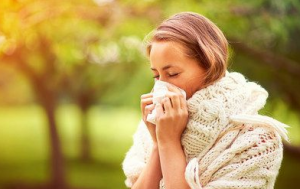 Our bodies can learn to fight off various illnesses, but we still get all worked up over certain pollens? Is this just a warped way to remind us that deep down we are sensitive? I don’t need to be that in touch with my feelings…really! I haven’t had allergies all my life. About when I turned 30 they kicked in, which is fairly typical I have discovered for when adult onset allergies come along. Now that I have them, I really feel sympathetic for those that have had them all their lives. Allergies for me take sneezing to an all new level. I sneeze so hard and for what seems forever that every muscle in my body aches like I have run a marathon…if I had ever run a marathon and knew what that felt like. It flat out hurts. That pain keeps me on drugs, and I am the type that hates taking any drugs I don’t have to. I put off taking Tylenol and deal with some pain rather than popping a pill. 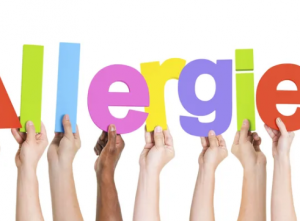 Every so often when I think I might be past whatever pollens are bothering me, I stop taking the allergy pills. I usually dread in a couple of days when I do that and the sneezing fits kick in again. That recollection of pain keeps me taking the pills pretty consistently from Spring until Fall now without fail. I have never gone to a doctor to get tested and find out exactly what pollens are my nemesis, so I just cover all my basis by sticking to it. I guess I should feel fortunate that allergies didn’t kick in for me until there was a cheap option to deal with it that doesn’t have any side effects. I have seen it for those that are worse. I have seen my brother with full body hives due to his out of control symptoms. I just remind myself it could be much worse. So if you are with me, whether as a lifer or late bloomer in the allergy club, welcome to the season. Ahchoo!